Thirteenth in a series. Apple has confirmed that its Worldwide Developers Conference (WWDC), will be kicking off on Monday June 2, at San Francisco’s Moscone West. The five day event will give developers (and the press of course) the chance to "learn about the future of iOS and OS X". At last year’s conference Apple unveiled iOS 7, Mac OS X 10.9 Mavericks, a new MacBook Air lineup, iTunes Radio, iCloud Keychain, and much more. In other news, Microsoft says its newly released Office apps have been downloaded 12 million times since launch. Some of the featured apps released or updated this week include a fantastic mind bending game inspired by the works of M. C. Escher, a powerful calendar and events manager, an animated gamebook/RPG, and an iPhone walkie-talkie. As always, if I miss an app that you think should definitely have been included, let me know in the comments below, or drop me an email. 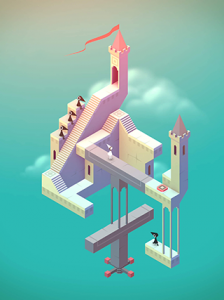 A hotly anticipated physics platform game, the aim of Monument Valley is to manipulate impossible Escher-style architecture and guide the silent princess Ida through optical illusions and palaces and temples from around the world. It’s very easy to play -- you just twist and drag to reshape the architecture. The game is stunning to look at, and just the right side of challenging. I haven’t had a chance to play it much yet, but this is very much my type of game. Apparently it's pretty short though (under an hour to complete) so I'll have to ration myself to a couple of levels a day! 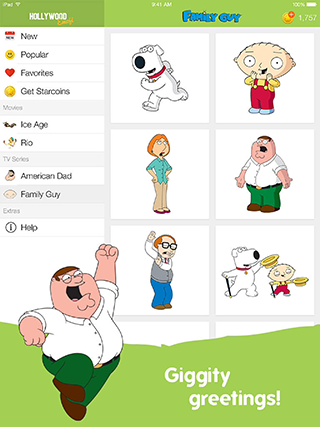 This app brings stickers from some of Hollywood’s hit animated TV shows and movies directly to iOS. It includes the cast of Family Guy, American Dad, Ice Age and Rio. More titles are coming soon. One of the more expensive games on iOS, this port of the popular PC/Mac RTS looks to be well worth the asking price. Your challenge is to run a spaceship trying to save the galaxy. You give orders to the crew, manage ship power distribution and select targets during battle. You can upgrade your ship and unlock new ones. When you die you don’t come back, so you have to be very careful not to take unnecessary risks. 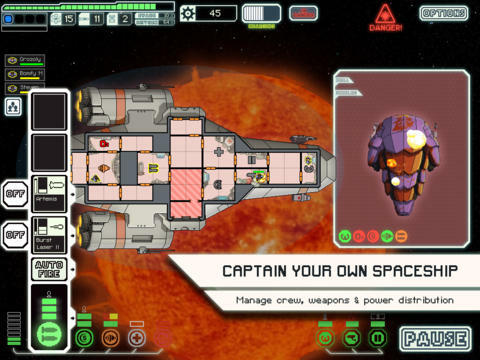 The game includes the FTL: Advanced Edition expansion pack which adds new ships, enemies, events, weapons, and more. Fantastical 2 for iPad ($9.99). 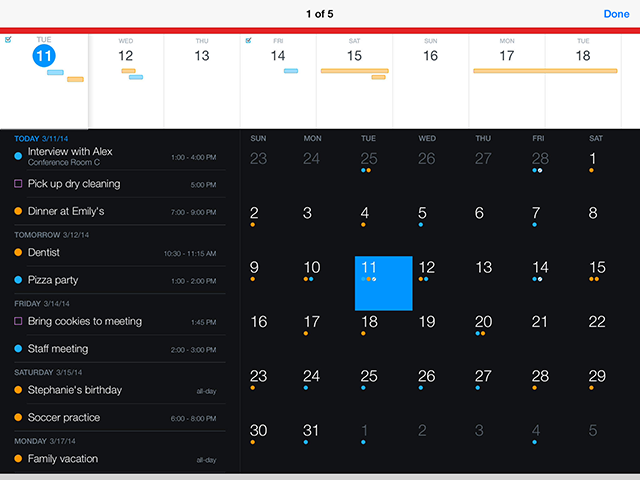 Although it’s similar to the iPhone version, the popular calendar app has been "redesigned and reimagined" for the iPad. Rather than simply blowing up the design to fill the extra space, Flexibits has introduced The Fantastical Dashboard which gives you access to multiple views and lets you easily switch between them. Creating events or reminders is very straightforward, and you can type or speak your instructions (unless you have an iPad 2 as dictation isn’t supported on that device). 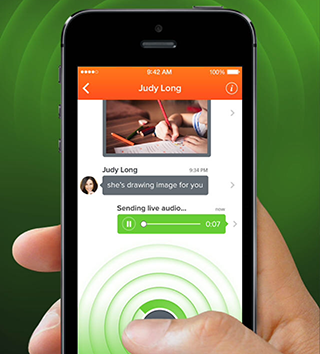 The push-to-talk and multimedia messaging app has been completely redesigned. As well as a new front end, it delivers faster access to new messages (notifications are now pre-loaded on devices) and extended battery life. 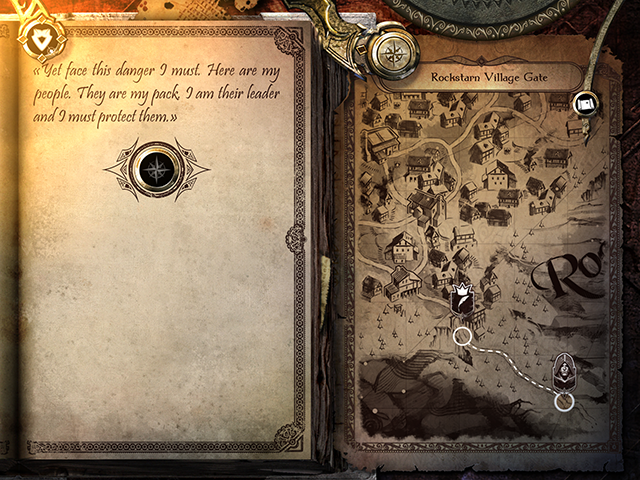 This week’s free release is a cross between a gamebook and an RPG. It features hand drawn illustrations and attractive 3D graphics. You can create your own character and write your own story by making multiple choices. 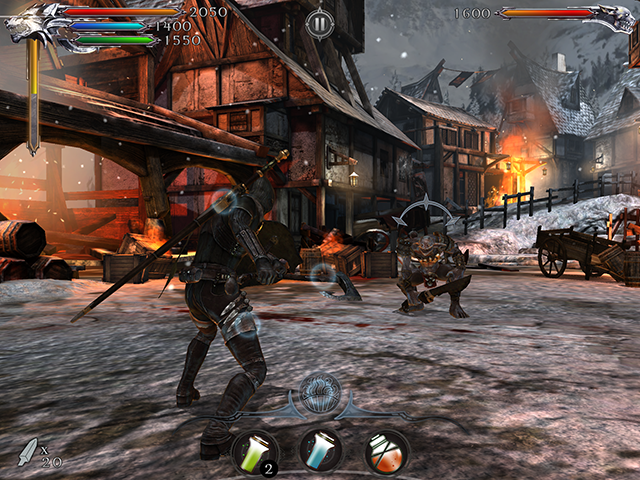 Combat is in real time (no rolling dice here) and something Infinity Blade fans will really appreciate. There are puzzles to keep you occupied too. There are four parts to the Lone Wolf story and this is the first. Act Two: Forest Hunt has just been released and will set you back $4.99. Or you can get the season pass for $9.99.